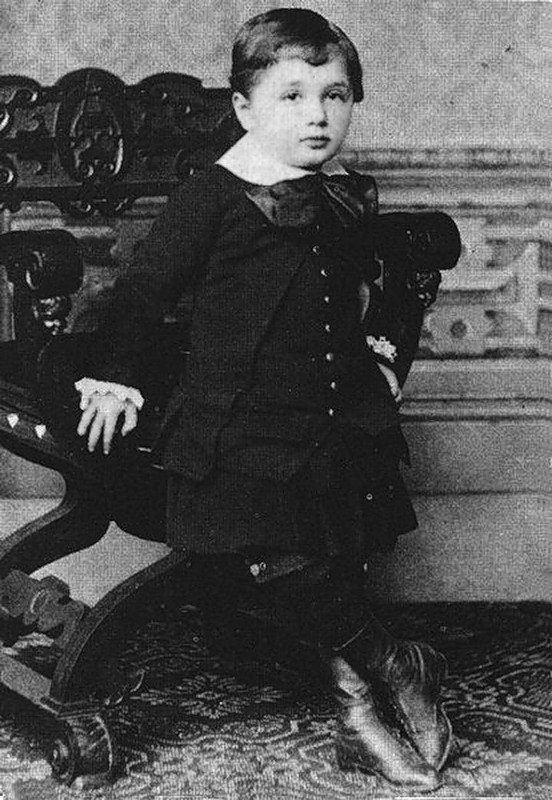 Einstein at the age of 3 in 1882. When Albert Einstein was five years old and sick in bed, his father showed him a simple pocket compass. Einstein was mesmerized. What force exerted itself on the little needle to make it point in a single direction? This question haunted Einstein for many years and has been noted as the beginning of his fascination with science. 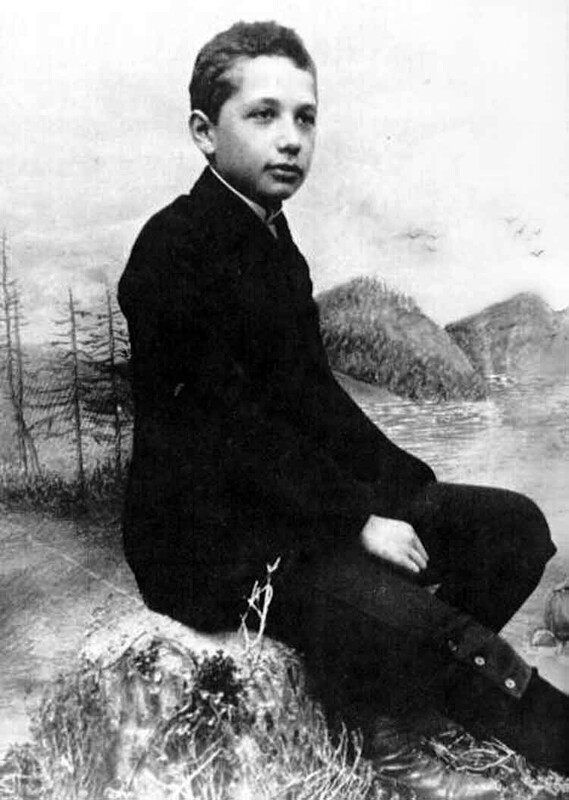 Einstein at the age of 14 in 1893. 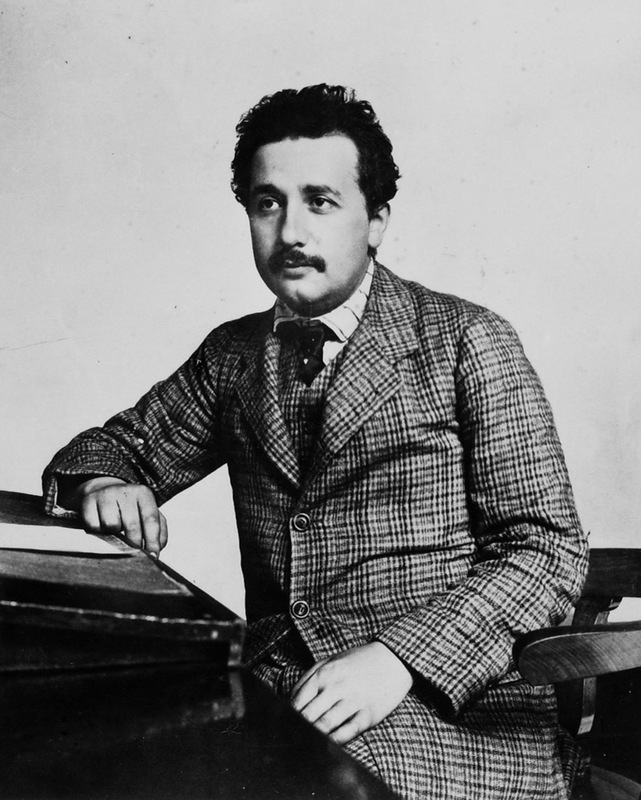 In 1895, at the age of 17, Albert Einstein applied for early admission into the Swiss Federal Polytechnical School (Eidgenössische Technische Hochschule or ETH). He passed the math and science sections of the entrance exam, but failed the rest (history, languages, geography, etc.)! 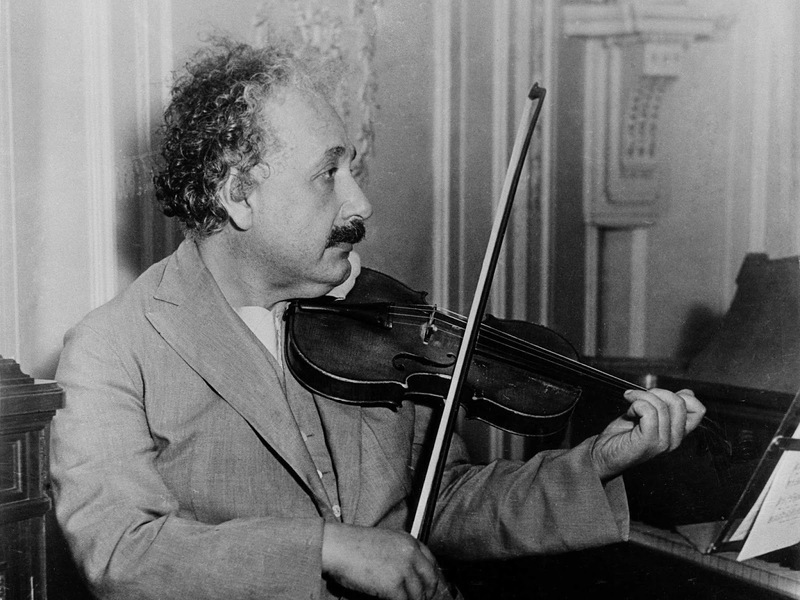 Einstein had to go to a trade school before he retook the exam and was finally admitted to ETH a year later. Albert Einstein is shown seated aboard the S.S. Belgenland, travelling from New York to San Diego. Here, he is seated and playing the violin for his leisure, 1931. Albert Einstein sailing with Grete Lebach, 1937. Twenty-one years after writing his Special Theory of Relativity, Albert Einstein invented a refrigerator that operated on alcohol gas. 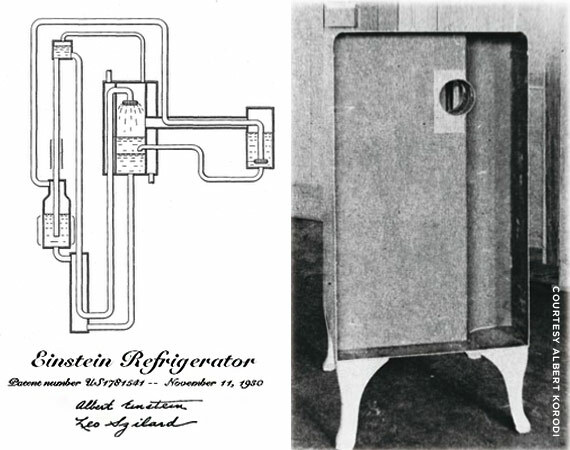 The refrigerator was patented in 1926 but never went into production because new technology made it unnecessary. Einstein invented the refrigerator because he read about a family that was poisoned by a sulphur dioxide-emitting refrigerator. Patent diagram for an Einstein-Szilárd refrigerator and a physical prototype with beautiful Art Deco styling, by engineer Albert Korodi. Einstein loved to smoke. As he walked between his house and his office at Princeton, one could often see him followed by a trail of smoke. 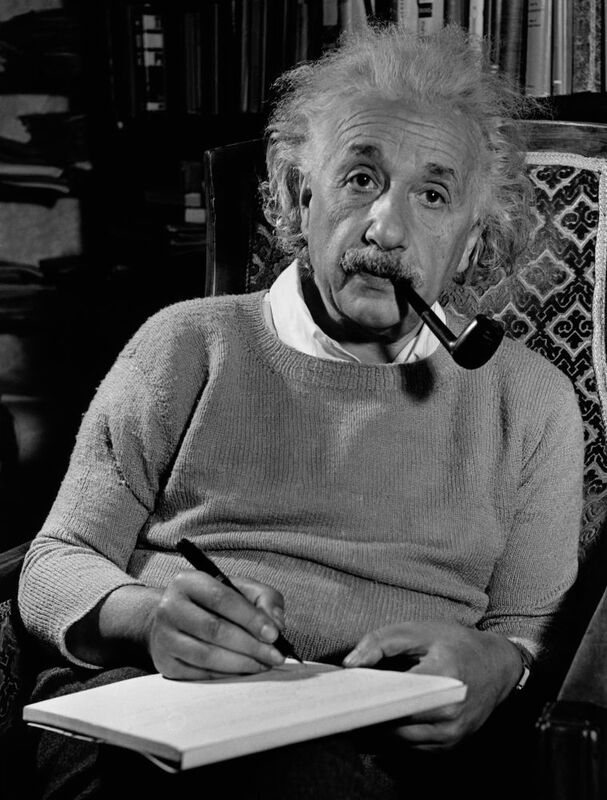 Nearly as part of his image as his wild hair and baggy clothes was Einstein clutching his trusty briar pipe. In 1950, Einstein is noted as saying, “I believe that pipe smoking contributes to a somewhat calm and objective judgment in all human affairs,” Although he favored pipes, Einstein was not one to turn down a cigar or even a cigarette. Albert Einstein smokes a pipe as as he sits writing in a comfortable chair in his study, 1940. 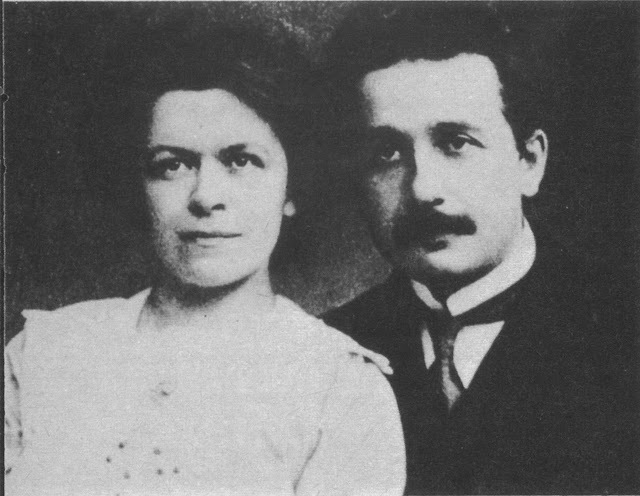 After Einstein divorced his first wife, Mileva Maric, in 1919, he married his cousin, Elsa Loewenthal (nee Einstein). How closely were they related? Quite close. Elsa was actually related to Albert on both sides of his family. Albert's mother and Elsa's mother were sisters, plus Albert's father and Elsa's father were cousins. When they were both little, Elsa and Albert had played together; however, their romance only began once Elsa had married and divorced Max Loewenthal. Einstein with his second wife and cousin, Elsa in 1922. Actually, Einstein also considered marrying Elsa's daughter (from her first marriage) Ilse, but she demurred. "It is true that M. followed me (to England) and her chasing after me is getting out of control," he wrote in a letter to Margot in 1931. "Out of all the dames, I am in fact attached only to Mrs. L., who is absolutely harmless and decent." 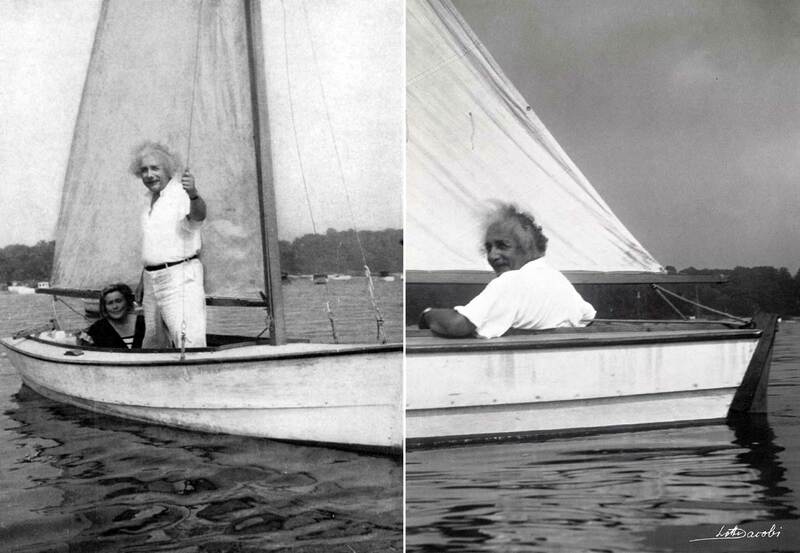 Albert Einstein chilling on a boat, 1945. In 1901, before Albert Einstein and Mileva Maric were married, the college sweethearts took a romantic getaway to Lake Como in Italy. After the vacation, Mileva found herself pregnant. In that day and age, illegitimate children were not uncommon and yet they were also not accepted by society. 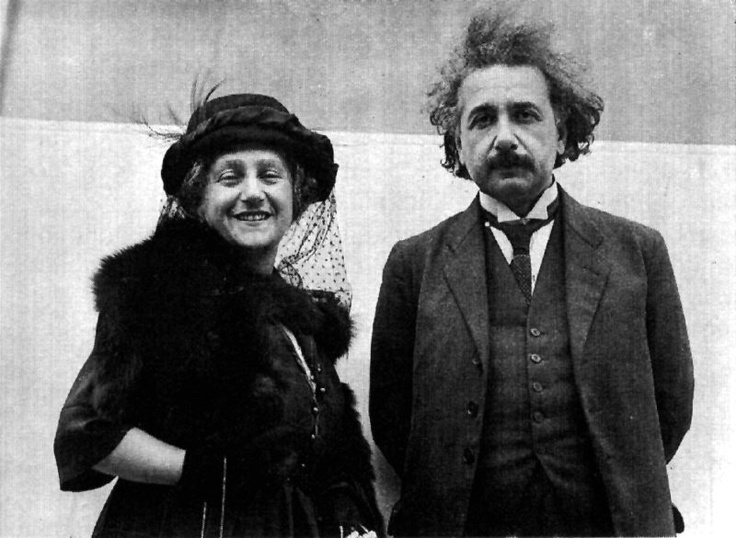 Since Einstein did not have the money to marry Maric nor the ability to support a child, the two were not able to get married until Einstein got the patent job over a year later. So as not to besmirch Einstein's reputation, Maric went back to her family and had the baby girl, whom she named Lieserl. Although we know that Einstein knew about his daughter, we don't actually know what happened to her. There are but just a few references of her in Einstein's letters, with the last one in September 1903. It is believed that Lieserl either died after suffering from scarlet fever at an early age or she survived the scarlet fever and was given up for adoption. 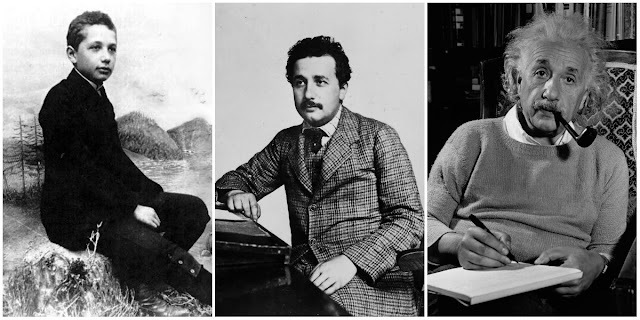 Both Albert and Mileva kept the existence of Lieserl so secret that Einstein scholars only discovered her existence in recent years. Albert Einstein and his first wife, Mileva, ca. 1900. A few days after Zionist leader and first President of Israel Chaim Weizmann died on November 9, 1952, Einstein was asked if he would accept the position of being the second president of Israel. Einstein, age 73, declined the offer. In his official letter of refusal, Einstein stated that he not only lacked the "natural aptitude and the experience to deal properly with people," but also, he was getting old. 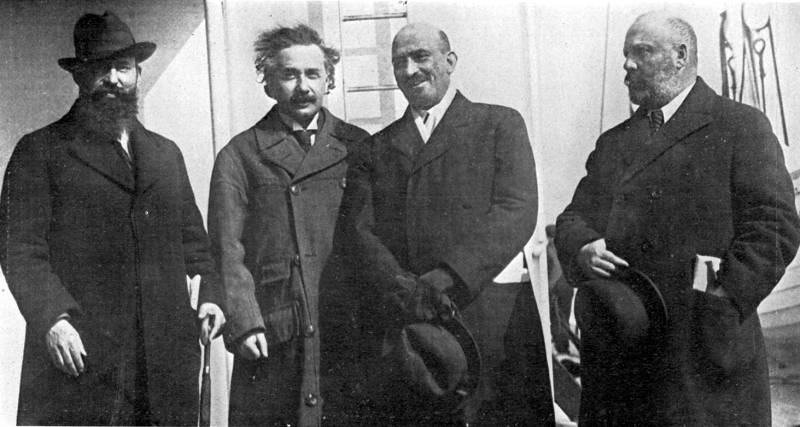 Albert Einstein with Zionist leaders Ben-Zion Mossinson, Chaim Weizmann, and Menachem Ussishkin, arriving in New York in 1921. 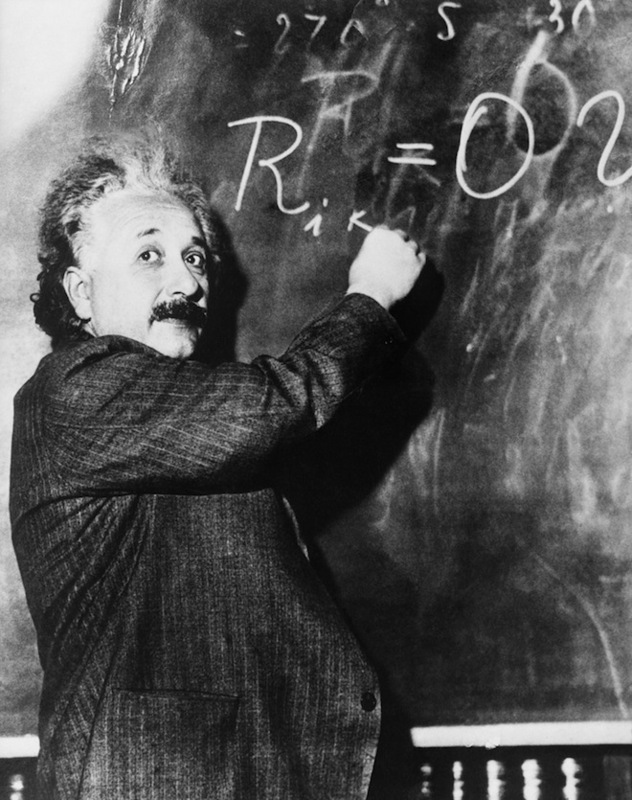 A famous image of Einstein writing physics equations on a blackboard during a lecture at Caltech in 1931. 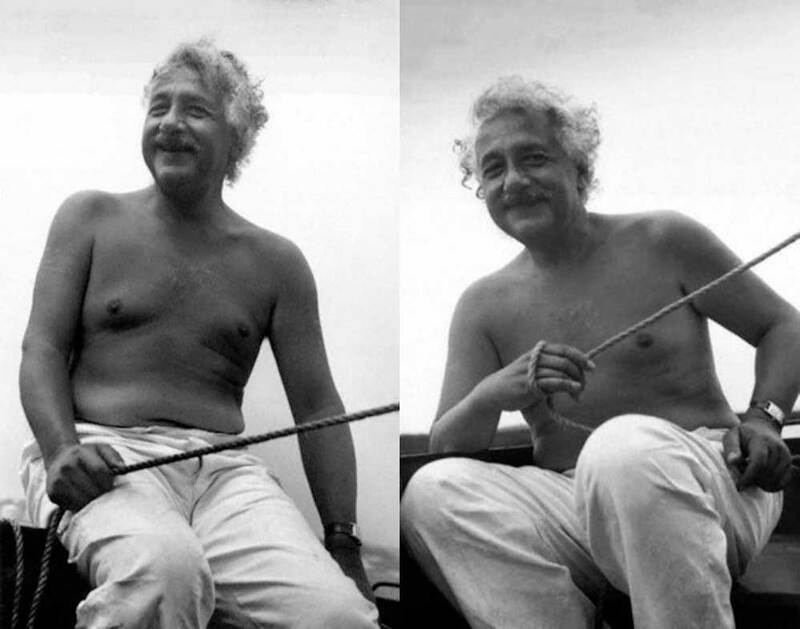 When Einstein died in 1955, his body was cremated and his ashes scattered, as was his wish. 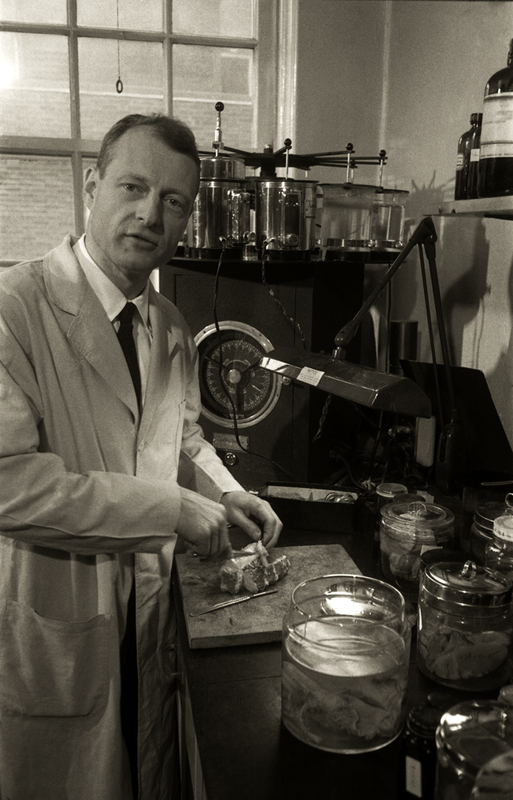 However, before his body was cremated, pathologist Thomas Harvey at Princeton Hospital conducted an autopsy in which he removed Einstein's brain. Rather than putting the brain back in the body, Harvey decided to keep it, ostensibly for study. Harvey did not have permission to keep Einstein's brain, but days later, he convinced Einstein's son that it would help science. Shortly thereafter, Harvey was fired from his position at Princeton because he refused to give up Einstein's brain. For the next four decades, Harvey kept Einstein's chopped-up brain (Harvey had it cut into over 200 pieces) in two mason jars with him as he moved around the country. Every once in a while, Harvey would slice off a piece and send it to a researcher. Finally, in 1998, Harvey returned Einstein's brain to the pathologist at Princeton Hospital. Dr. Thomas Harvey, who famously dissected Einstein's brain, cuts into one here.